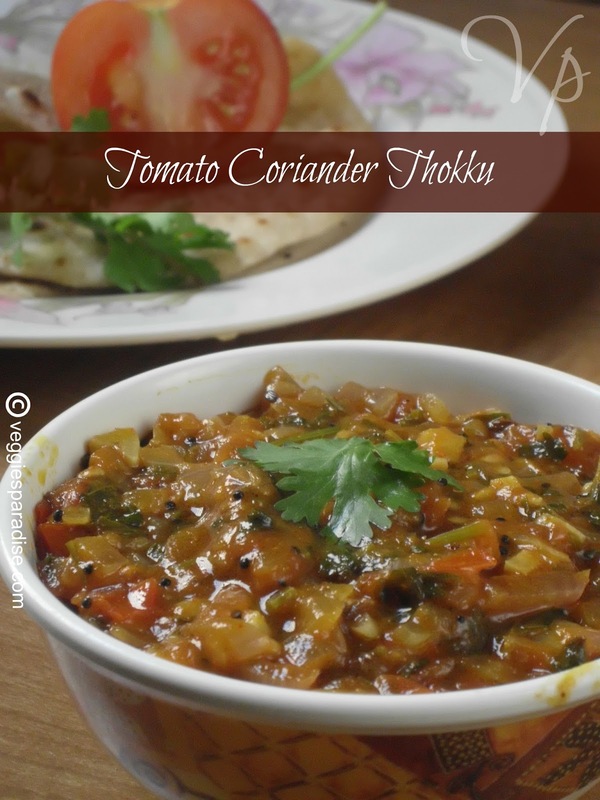 Tomato-Coriander thokku - This is a tangy spicy side dish that can be prepared in a very few minutes . With no extra masala's and just few ingredients from your pantry this recipe can be prepared. The flavors of garlic , the tanginess of the tomato and the fresh smell of coriander leaves makes this dish taste excellent. 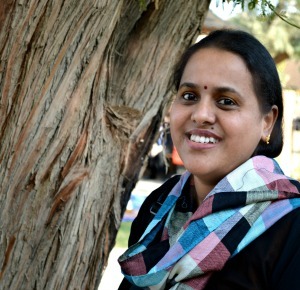 It can be served with hot roti's and crispy dosa's. Heat oil in a pan and add the mustard seeds. When they crackle add the asafoetida and garlic. Fry the garlic until it turns golden and add the tomatoes. Sprinkle in the turmeric powder and season with salt. Dilute the tamarind in half a cup of warm water , filter and pour it in the mixture. Bring it to the boil, reduce the heat and cook until all are well blended . When the consistency is slightly thick, add the chopped coriander leaves, mix gently and cook for a couple of minutes .Remove from heat and serve hot. 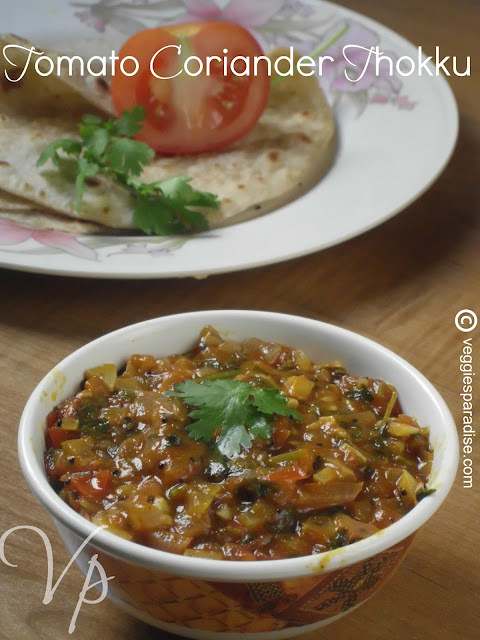 Tomato - coriander thokku - a delightful combination, is ready to be served. Yummy and delicious chutney looks tempting. 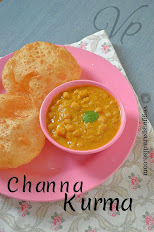 Super like, love this thokku with chappathis and dosas..
Yummy thokku.. wud love to have this with dosa! Delicious and lovely looking thokku. Yummy comforting thokku.. Perfect for idli and dosa..
Nice thokku Aruna. 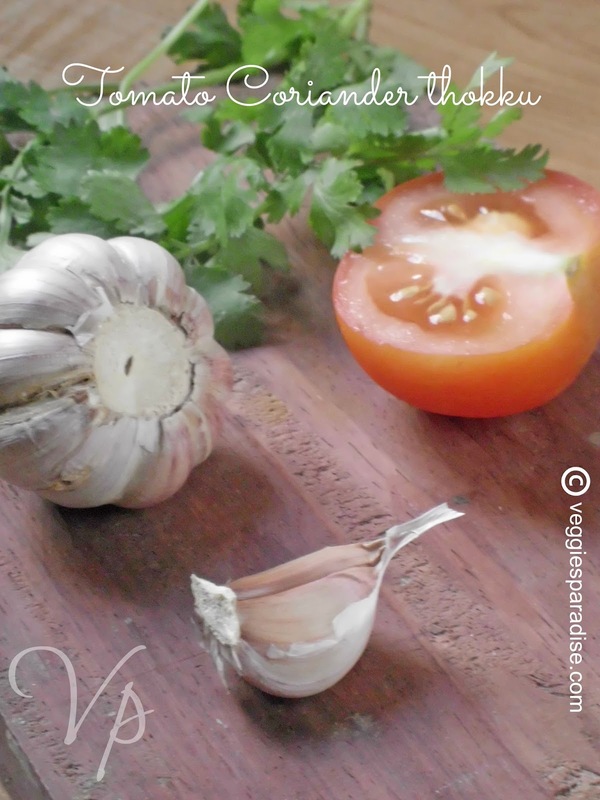 I always love the combination of onion tomatoes and corriander! Ooo yummy tokku would love to have it with some dosas.